Today we are having an Autumn Harvest Potluck at work and everyone was told to bring in either an apple, pumpkin, or squash dish to share. I went straight to some of my favorite food bloggers for inspiration and found these delicious sounding cookies from Christy. 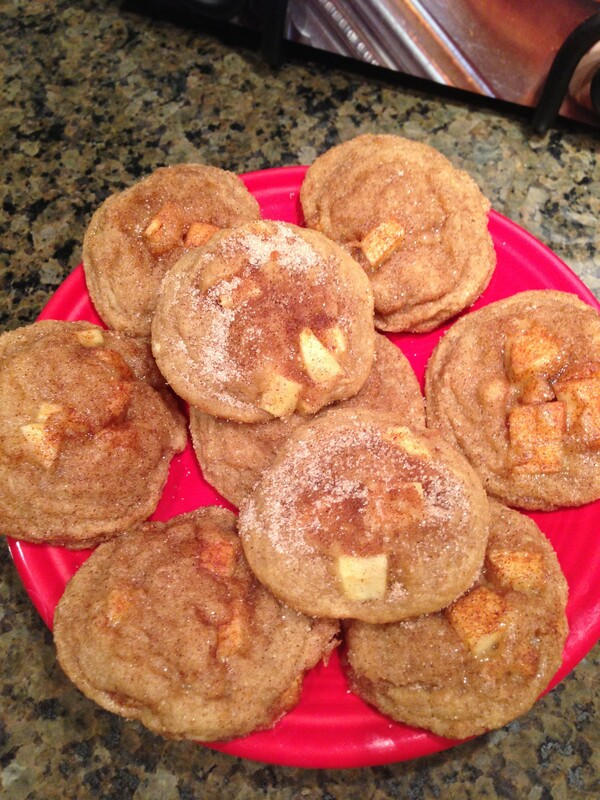 Snickerdoodles are one of my favorite cookies and the idea of adding fresh apples to them sounded like perfection! 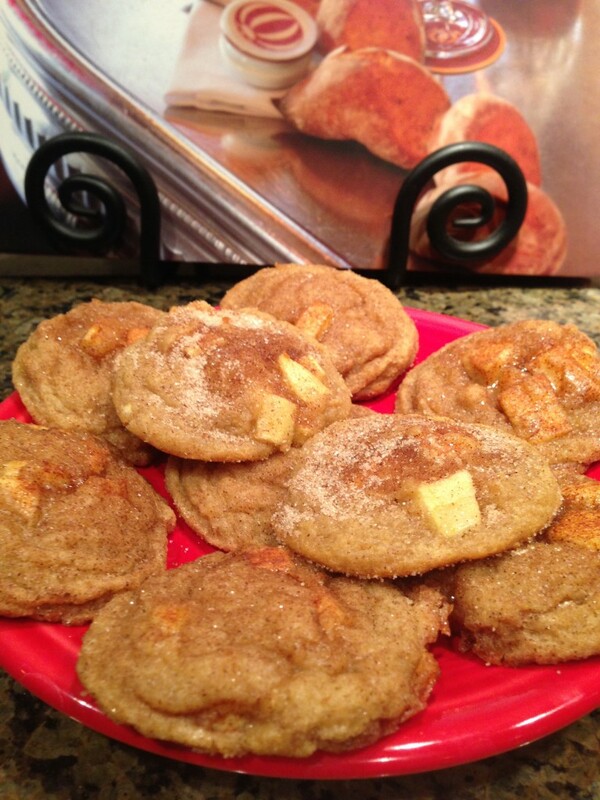 These cookies are soft and chewy just like a Snickerdoodle should be and the addition of the apples makes for the perfect bite! In a medium bowl, whisk together flour, pudding mix, baking soda, cinnamon, and salt. Add dry mixture to wet ingredients and mix until combined well. Stir in apples. Preheat oven to 350 degrees and line baking sheets with parchment paper or Silpat baking mats. Take around 2 tbsp of dough and roll into a ball and then roll generously in the cinnamon sugar. Place on prepared baking sheet. Bake for 10-12 minutes. Allow cookies to cool completely on the baking sheet. Linking up with Jenn, Kate, Emily, and Lena. Oh that sounds SO GOOD! I love snickerdoodles! Me too – love a good snickerdoodle! Thanks for hosting! Oh my gosh!!! They look SO yummy!! Are the apples in the cookies soft or do they dry out like dried fruit when baking? The apples actually stay soft and don’t dry out! The one thing I will note is I noticed the dough around the apple pieces was a little gooey which I’m guessing is because of the moisture from the apples. Thanks for hosting! 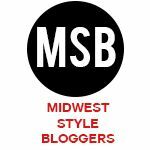 I love looking at all the recipes other bloggers post! The apples were a great addition! Thanks for hosting the linkup!